Whether it is a staycation or you have friends and family in town for a visit, living in the Charleston area never gets old! We just returned from 2 weeks of traveling in Mexico. For many that would be reason enough to relax and do nothing, but instead we had friends and family arriving for a week and it was time to play in our own backyard. It was my husband Mike’s 65th birthday and we were continuing a 20 year tradition of doing a, for lack of a better word, golf tournament. But we still had time to fill with things to do on fall days in the Lowcountry. 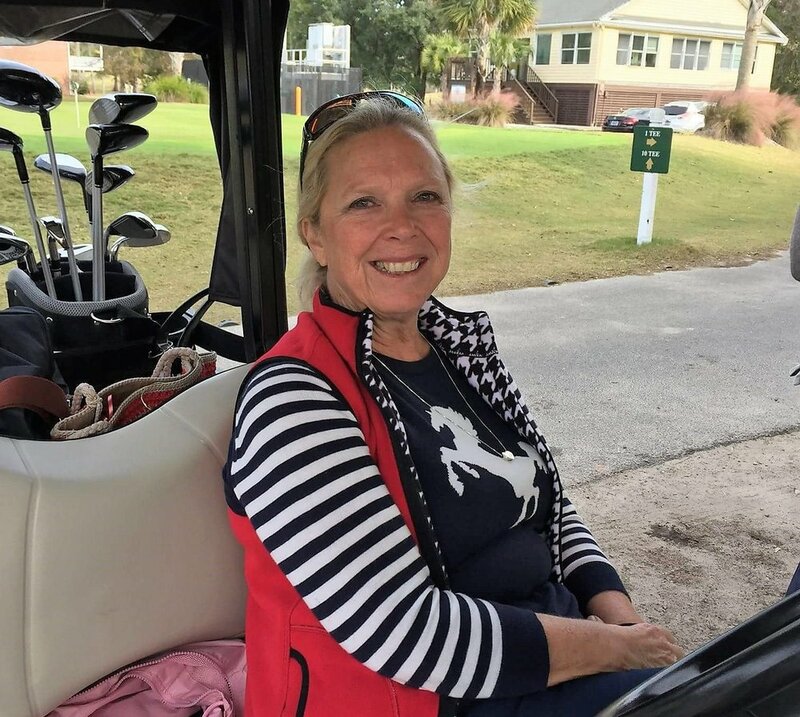 Golf was at Charleston National Country Club. If you're a golfer or just enjoy riding along in the cart this is one of the most gorgeous courses around. It is beautiful anytime of the year, with amazing views of the marsh and distant views of the barrier islands. Charleston National is open to the public. Charleston is best known for two things – History and Food! It is home to the oldest Historical Society and recently home to some of the world’s best chefs. 20 plus years living here and we still never tire of sharing it with others. Middleton Place, located about 45 minutes from our home on Route 61 is a gorgeous place to wander no matter what time of the year. You can spend an entire afternoon here or break up your day by also visiting either Drayton Hall or Magnolia Plantation, which are on either side of Middleton Plantation. We started our Middleton visit with a new lunch option. Next to where you park and get your tickets is a small country-store-type setting that offers simple lunch options. This day we could choose from smoked chicken, smoked brisket or pulled pork with your typical Lowcountry sides, like collard greens, mac ‘n cheese, red rice, beans, potato salad and more. Full and ready to go we headed to the main house for a house tour. Most of the original house was destroyed during the Civil War but the newer north building was renovated and is now on display with much of the furniture and artwork on loan. Following the house tour we wandered the property with its winding paths and sweeping landscaping it is one of the most beautiful places to just wander. The butterfly mill ponds were alive with wildlife this day, birds and ‘gators entertained us. The flora was scarce, given the time of the year, but we could imagine it alive with flowers in the spring and when the azaleas or camellias are in bloom. There is a small example of the enslaved quarters located over by the stables and Middleton Place still has a number of farm animals on property. The most impressive being the second largest American Belgium Draft Horse who we visited with during feeding time. Among other farm animals are sheep, water buffalo and geese and chickens. There is also a small section that depicts what life on a Middleton Place may have been like with an artisan cooper giving demonstrations. We always love to take visitors on a walk through Downtown Charleston and it doesn’t matter whether it is a daytime stroll or evening walk. We usually park and wander down East Bay to the Battery and head back up Church Street. This evening we topped it off with a cocktail and appetizer at Pavilion Bar, atop the Market Pavilion Hotel, with a gorgeous view of Charleston, the bridge and harbor. 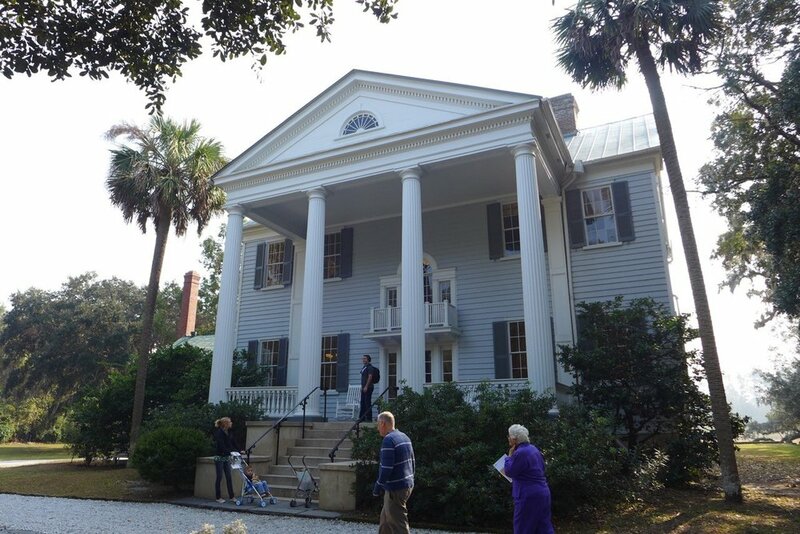 A newer addition to the local history venues is Charleston County Parks and Recreation’s McLeod Plantation. Located on Wappoo Creek, just over the bridge on James Island, this once thriving property is open to the public along with tours of the property and house. It is close to town and small enough to visit in a couple of hours. We thoroughly enjoyed the artistic flare of our tour guide. The home has passed through many hands and been a part of history since the revolutionary days. The buildings that were once slave quarters were still inhabited in the 1990s. We followed our morning visit to McLeod Plantation with lunch at the Tattooed Moose on Morrison Drive. Even living here full time we find there isn’t enough time to try out all the great restaurants. After finally getting to try out the cuisine at Tattooed Moose we will definitely be back, and we understand its popularity. That wraps up a sample of what you can do with guests or by yourself when you have a few days in Charleston.